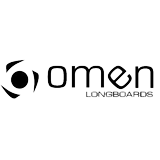 Omen Longboards from Seattle, Washington are a modern longboard company that has become really popular in the longboard market. Every product is tested for durability on the steepest hills in the Pacific Northwest. Omen produce high quality decks that push the limits of wood construction with insane concaves, shapes and classy graphics..